Landscape views of Bryce Canyon National Park in Utah, USA. This is a closeup of the unique red sandstone columns called hoodoos that are unique to this national park. They are carved by the relentless freezing and thawing of water trapped in the crevices of the stone. 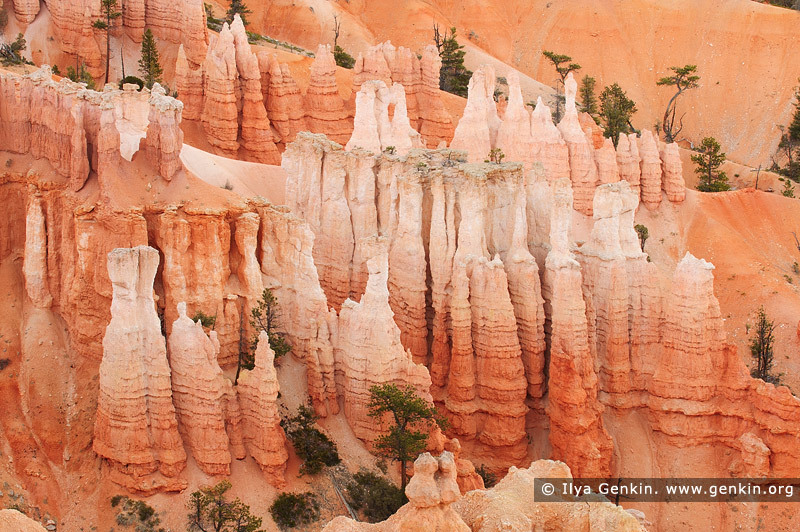 This image id US-BRYCE-CANYON-0010 of Bryce Canyon Hoodoos, is copyrighted © by Ilya Genkin. This is not a public domain image.